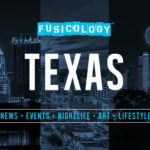 Fusicology is excited to announce a partnership with 88tc88 to offer affiliated labels and artists 15% off 88tc88 music packages, to introduce artists across the world to the biggest audience in the world: China! Founded in 2009, 88tc88 is the premier web and mobile-based service that enables international music access the explosive Chinese marketplace. 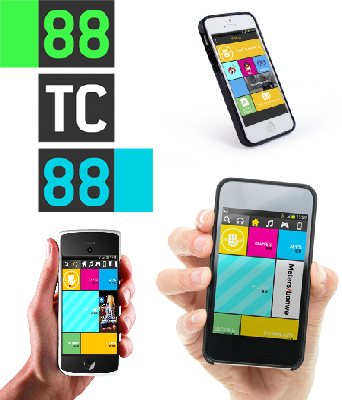 88tc88 opens doorways to China, by incorporating a one-stop solution of translation, approval by the Chinese authorities, product globalization, and publishing and sales. To get your music to China, 88tc88 have established their own secure, safe and reliable sales platform PaiShouBa for artists and labels to present their content to China consumers in a 100% legal and protected environment. • Enter the promo code “Fusicology15” at the checkout to redeem your 15% discount. With just a few clicks, 88tc88 can give Fusicology associated artists and labels full access to the biggest mobile marketplace in the world, and China’s blossoming music scene! 88tc88 announced today the official launch of their digital sales platform for China,PaiShouBa. Available exclusively to the Chinese mobile market, PaiShouBa is a mobile commerce experience, providing consumers with a social and engaging way to discover and purchase legal international digital content. With the launch of PaiShouBa, Chinese mobile consumers, who make up the biggest mobile marketplace in the world, can download global digital content from a selection of millions of 100% legal music, games, apps and e-books, many of which will be exclusively available in China only on the PaiShouBa platform. Beyond the content, users can create their own community experience, with inbuilt social features and it’s own in-app currency, as well as payment options via China’s answer to PayPal, Alipay, creating a unique shopping environment from the convenience of a smartphone. 88tc88’s PaiShouBa also features full social media integration, with the ability to sign up using China’s top social media platforms including QQ, RenRen and Weibo. “PaiShouBa opens doors to China for the West like no other before it and with it’s addition to 88tc88’s already extensive localization services, it’s never been easier or more efficient for content providers to have repertoire up for sale without a long waiting time, and in a safe and secure release environment ”, said CEO Thomas Reemer. After last years 7-figure investment from Alstin, and in partnership with global music distribution leader The Orchard, 88tc88 is set to become one of the biggest providers of legal and licensed international music, as well as games, apps, and e-books in China. This also marks a step forward for independent artist and developers wanting direct access to the Chinese market, as PaiShouBa is one of the first portals to sell and distribute content easily and safely in China without the need for third parties. Because PaiShouBa is a controlled end to end solution it enables product releases without the surprises, that had content providers shun the Chinese market for such a long time. PaiShouBa is exclusively available as free-to-download mobile app in China via app stores including Baidu, Appchina, Mumayi and Nduoa.